Lizzie joined SFHC as the Project Coordinator in 2003. 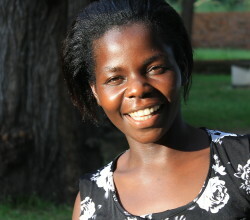 Although she is from Lilongwe, she enjoys working in Ekwendeni, where she lives with her husband and two young sons. Lizzie holds a diploma in nutrition from the Natural Resources College in Lilongwe, and she is doing a BSc at the Lilongwe University of Agriculture and Natural Resources, in Rural Extension and Nutrition. She looks forward to sharing what she learns with her colleagues when she returns to Ekwendeni. During her spare time, Lizzie enjoys cooking and singing. Laifolo, or ‘Dak’ as he is commonly called, started working with SFHC in November 2001. Dak studied at the Malawi College of Accounting, where he earned a diploma in accounting. His passion for community involvement and participation drove him to become involved with the project. Since 2001 he has enjoyed being part of the project’s evolution, and has been greatly motivated by the farmers’ eagerness to learn and try new things. 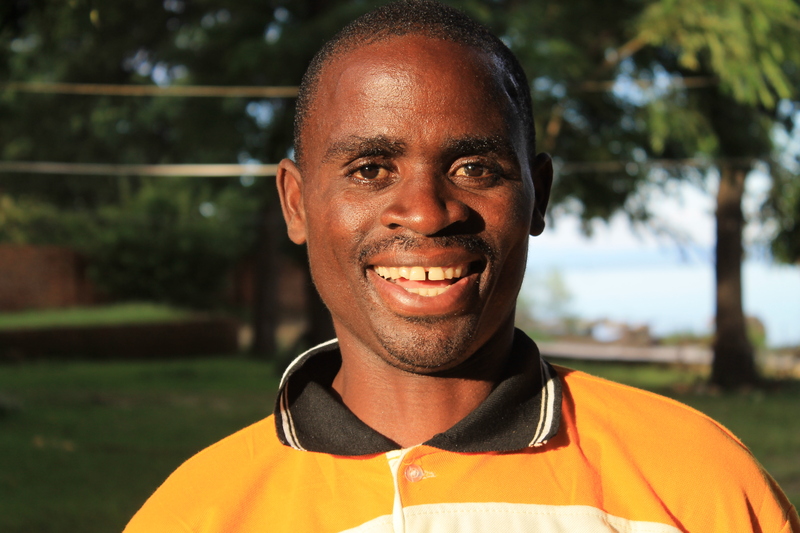 He lives in Mzuzu with his wife and children. During his free time he enjoys visiting with his friends and family. Dak is also now the co-coordinator of Objective 4 of MAFFA. Ms. Lupafya has been with the project since before it started in 2000. As well as the Co-PI of MAFFA, she is the AIDS Project Coordinator of Ekwendeni Hospital. She is greatly committed to improving the livelihoods of Malawians, as is clear in the amount of time she spends doing so. 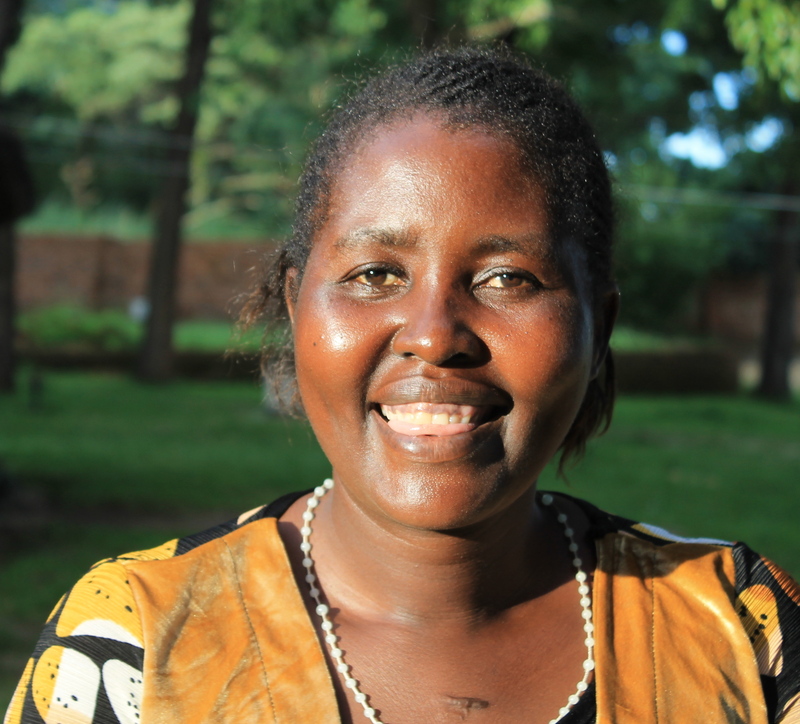 Esther holds a Masters degree in Social Development and Health from Queens University in Edinburgh. When she is not working, she enjoys talking and spending time with her children. Msachi joined the project as a participating farmer and FRT member in 2000. His passion and dedication impressed the office staff, and in 2005 he became the project’s Agricultural Promoter. Msachi enjoys interacting with the participating farmers in the villages on a daily basis, and takes pride in their successes: it is evident that the quality of their soils has improved because of their hard work. When he is not promoting the project, Msachi keeps busy as the leader of the New Apostolic Church. He enjoys preaching, singing, and dancing. Tinkani Gondwe joined the project in its first year (2000) as a member of the Farmer Research Team. He has been an active leader since that time, as well as a keen experimenter in his own fields. In 2012, he became a staff person with the project as a Community Promoter because of his impressive leadership skills and great commitment to sustainable agriculture in his community. Anita joined the SFHC project as a member of the Farmer Research Team. From then on she has been a very important part of the project work. In 2009 she was hired as a community promoter. She is a very involved community leader, and traveled in 2014 to Zimbabwe with the Canadian Food Grains Bank to visit several agricultural institutions and centres there. Of all the outcomes of SFHC’s work, she most likes seeing the soil fertility improved through crop residue incorporation. She is a highly skilled farmer herself, and enjoys spending time with her children when she isn’t at work. Esther Maona has been a farmer volunteer since the SFHC project began, and then a member of the FRT, becoming a farmer promoter in 2009. She has constantly been active in all areas of our work, agriculture and nutrition, and she continues to be an involved leader in her community. In 2013 she visited Canada to receive training at an organic farm in Ontario, as well as to speak at several churches and discuss with colleagues at Western University. At home, she is fond of cooking and dancing. 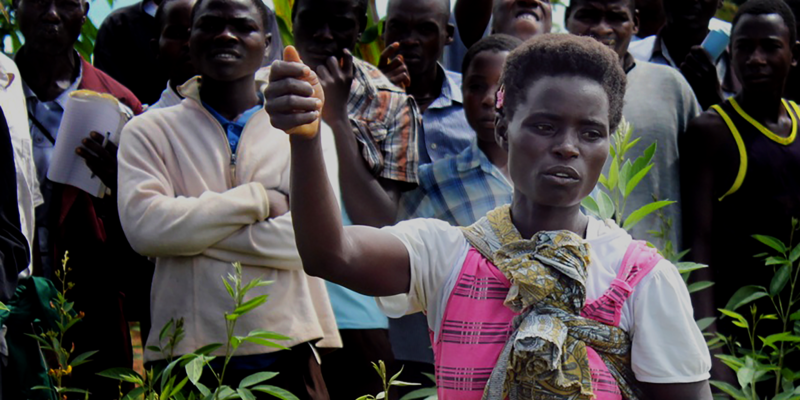 She says that she loves seeing people’s food security, soils and nutrition improved with her work. 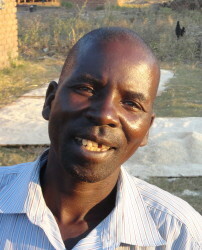 Mwapi became a promoter in 2012 after ten years on the Farmer Research Team. The changes she has seen in that time inspired her to do what she’s doing now. Mwapi takes pleasure in seeing farmers growing their fields well as a result of SFHC’s work. When she has free time, she likes listening to gospel music, dancing, laughing and spending time with her family. Paul Nkhonjera has been a participating SFHC farmer since 2000. He enjoys teaching farmers about agroecological methods to improve their crops and harvests. Paul is a very enthusiastic member himself, and he enjoys teaching techniques through demonstration. He is fond of talking with his friends in his spare time. Malumbo joined the SFHC project at the age of 18, when he needed to provide enough food for the rest of his family, including four younger siblings. After seeing a large positive change in his food security, soil quality, and his family’s nutrition, he stayed with the project, and he was hired as a Youth Community Promoter years later. He now takes pride in helping youth in the communities in which we work start their own businesses to provide for their own families. Cristina Hara was motivated to join the project under Objective Four of MAFFA because of her commitment to improving the lives of young people around her. She brings that commitment to her work, guiding the youth she works with as they start youth cooperatives in their areas. Cristina was married in 2013, and she enjoys spending her free time with her husband. Edwin joined MAFFA in 2012 as farmer, inspired to join the project due to the idea of improving soil fertility through use of agroecological practices. His successes were so encouraging that he chose to continue working as a promoter. He likes to see men and women actively working together in the project activities, regardless of gender! In his free time, he likes working for his church, singing and listening to gospel music. Lesita joined the project because she was interested in legume intercropping, a practice which she found helps in enriching her soils and improving the nutrition of her children and friends. She takes pride in seeing farmers adopting the practices that the project promotes, and watching their soils be improved as a consequence. Lesita says she likes it when she sees farmers “livelihood improving because of the project”. In her free time, she likes spending time with her family and dancing. Ms. Jabesi enjoys her work with the project, especially the technique of intercropping which she has found to be very beneficial to her own farm. She takes this knowledge and her own success and shares it with other farmers, and then she feels happy when she sees farmers benefiting from what she teaches. In her free time she likes spending time with her family, teaching her children to pray and dancing. 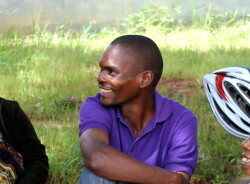 Maliseni joined the project in 2012, as a farmer and later became a community promoter. He was interested in agroecological practices that promote improvement of soil fertility and food security. He likes seeing farmers adopting what he teaches them as it encourages him to work harder in his job. In his free time, Maliseni likes spending time with family and friends. Penjani has been part of SFHC since the project began in 2000. He enjoys working with the project because he likes researching in the villages and learning new things from the farmers and staff. He particularly enjoys translating interviews for project staff, as it is an opportunity to learn about new issues. Penjani was married in December 2007, and lives in Ekwendeni with wife and young daughter. In his spare time, he enjoys watching movies, reading novels, and spending time with his friends.